I stopped writing this entry to take Keener to the bathroom and found myself saying “good job” unprompted. Why did I say it? I was truly proud of him for going to the bathroom. 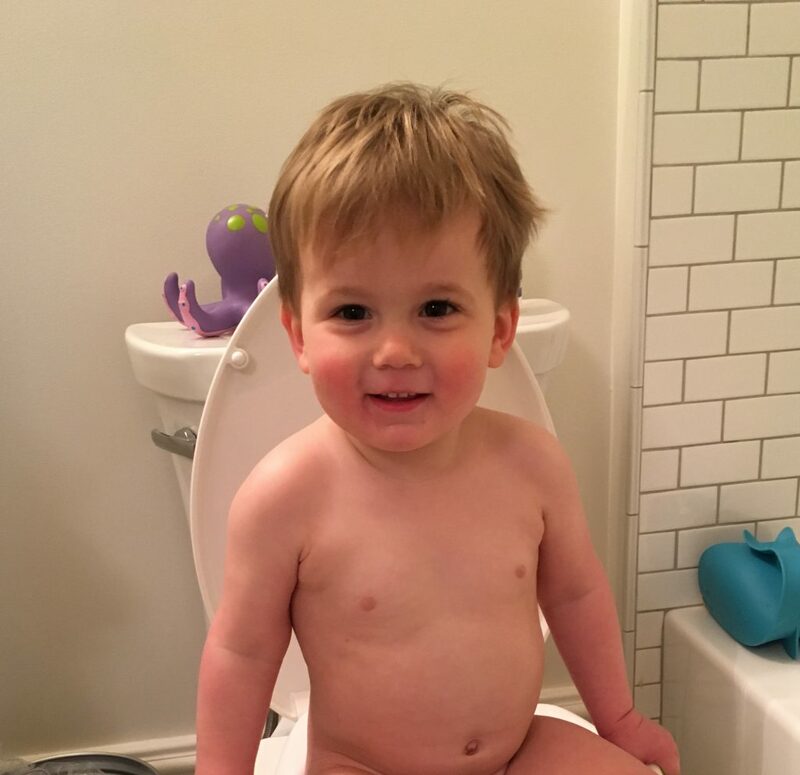 Although we started official potty training six months ago, it has only been a month since he consistently initiates using the bathroom. Since it is still a relatively new skill, I wanted to praise him because I was proud of him. I also want this behavior to continue. When I was teaching in NYC, we studied feedback and read an article about feedback and video games. It stated that one reason video games are so addictive is because there is constant feedback. There is always a goal the player is working towards, and the game gives the player constant updates on his or her progress, motivating the player to keep going. How can we provide our children with feedback to help them achieve a desired behavior? While “good job” still flies out of my mouth sometimes, I know that is not the answer. It needs to be the kind of feedback that motivates them to persevere, overcome setbacks, and encourages good behavior. One of the best professional development trainings I have ever attended was held by an organization called Responsive Classroom. The training largely focused on language and was instrumental in developing my interest in language and its impact. Responsive Classroom describes three types of language: reinforcing, reminding, and redirecting. I realized that I have been searching for better reinforcing language with Keener of late — better language to help reinforce positive behaviors. When a child is working on a new skill, it is important to provide specific feedback about their behavior to encourage the new skill to become a habit. According to Dictionary.com, feedback is defined as “information about . . . a person’s performance of a task . . . used as a basis for improvement.” This last part is the key. “Good job” does not provide any information that can be used as a basis for improvement since it doesn’t specifically name anything or help the child reflect on the behavior. Back to Keener and the potty. I now try to specifically describe what Keener is doing and the behavior I want him to repeat. By highlighting his actions for him, I am encouraging him to internalize what he is doing and make it a habit. Instead of saying “good job,” I try and name what I see: I notice you told mama you had to go potty and then went to the bathroom to get all of your pee pee into the potty! 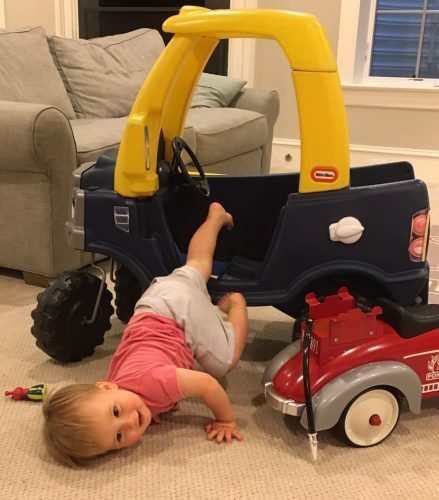 Way to go bud! By naming what he did — which is what I am actually proud of — I am encouraging him to repeat that specific behavior every time until it is a learned skill and I no longer have to acknowledge it. It seems counterintuitive that reinforcing words aren’t traditional “praise” words — good job, way to go, great work. Reinforcing language shifts our role from cheerleader to spectator, telling our children what we notice about their behavior to encourage that behavior to continue. Listening I noticed you came the first time I called your name. Keeping hands to themselves I noticed you kept your hands and feet to yourself. That keeps you and your friends safe. Putting their shoes on when asked The way you put your shoes on quickly allowed us to get to the park early and have more time to play! Using the bathroom You kept your underwear dry! Now you don’t have to stop playing to go change your pants. Getting out of the bath when asked I noticed you got out of the bath the first time I asked you. That will give us more time to read your favorite books! By naming for Keener what I see him doing, he is developing the awareness and skill to turn these currently “praisable” moments into habits or expectations. This helps him continuously learn new skills and acquire more independence, confidence, and perseverance. He thrives and so do I. This has the added benefit of allowing me to do other things while he plays nearby. I can “spectate” from the sidelines, aka kitchen, instead of always sitting next to him being his personal cheerleader. When I observe him waiting to play with the farm animals that his sister Grace has, I comment, I notice you waited until Grace dropped the cow before you took it. Waiting to take a toy until it is free makes everyone happy. I know you don’t like when friends take toys from you. By naming what I notice and the outcome of acting that way, I am teaching Keener the transferable skill – don’t take toys from anyone, including your sister. Big picture — I don’t want him needing me or anyone else acting as his 1-on-1 cheer coach. I would not be preparing him to be successful in the classroom, on a sports team, or in the real world if I set him up to require such constant praise. As parents, we want to always be mindful of our words and the intended and unintended consequences they have on our children. Great job on your posts! I like that they are short enough, focused on very common issues, and have meaningful examples interspersed! Hope all are doing well. Love to you and the family. Great to hear from you, Renee! With time being so precious, I’m trying to make them focused, short, and easily applicable. Much love to your wonderful family! I’m Jenny. 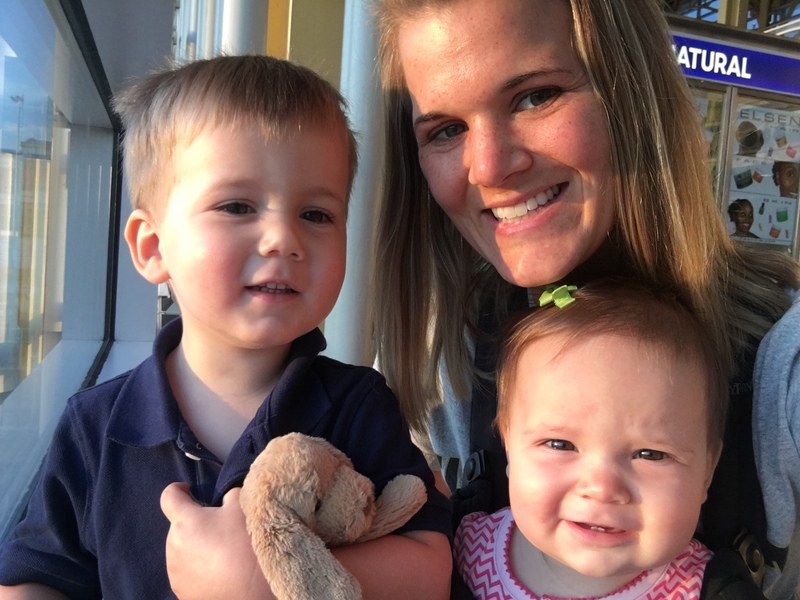 A teacher and mom who loves exploring the impact of language and communication. Caught Up on Recent Posts?